Confirming what many New Zealanders have likely suspected about meetings, recent LogMeIn and Ovum findings show that across the ANZ region, more than 88 percent of employees admit that the sheer number of meetings they attend is static or rising, with 66 percent of those meetings being perceived as having little or no value. The report claims that chronic late start times of these meetings are having a very real impact on global worker productivity, most notably with executives. 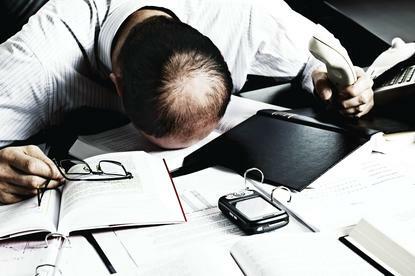 On average, executives are losing an estimated three hours a week – five and half days per year – in delayed meetings alone. "Mobility, consumerised IT environments, and highly connected employees define the modern business and have fuelled fundamental changes in how today's worker collaborates with colleagues and customers,” says W. Sean Ford, CMO, LogMeIn. “We believe that today's businesses can gain significant advantages when they encourage the collaboration tools and approaches that align with the realities of the modern worker and modern work environment." Exploring the impact of collaboration processes on worker productivity, findings show a significant proliferation in types and number of meetings today’s modern workers are having. In ANZ, among the key findings were that virtual meetings – where one or more participants attend via teleconferencing and/or web conferencing – now account for almost a third of all meetings; a statistic that speaks to the inherent realities of today’s increasingly mobile, connected and consumerised workplace. Additionally, more than 32 percent of all meetings are now ad hoc, impromptu meetings that are neither pre-scheduled nor formal in nature. This trend is especially acute with one-on-one meetings, with 43 percent of internal meetings and 36 percent external meetings reported as impromptu and unscheduled. Today across all meeting types, 32 percent of meetings are ad hoc and unscheduled. Meanwhile, 30 percent of ANZ workers report a rise in these types of meetings over the past 24 months. 24 percent of all meetings are virtual, a trend that skews higher for younger workers (age 26-35) who report that 36 percent of all of their meetings are held virtually. Significantly more than half the ANZ workers in the study were likely to see meetings as a waste of time. 66 percent of ANZ employees said meetings had little or no value compared on par with the global average, 67 percent. 65 percent of workers in ANZ are taking a laptop, smartphone or tablet or combination of into in-person meetings. Of interest, 29 percent of ANZ workers used smartphones, compared to 36 percent in Europe and 31percent globally. Similarly, 26 percent ANZ, 28 percent European and 35 percent Global used laptops during meetings. Additionally, 33 percent of ANZ workers say they are using device-to-device screen sharing as an alternative to conference room projectors. With the evolving needs for meetings, 39 percent of corporate buyers report that they are actively looking for new collaboration solutions to replace traditional web conferencing tools. ANZ corporate buyers cited a “better user experience” as the primary driver for this consideration, and cost reduction as the second most important driver at nearly 18 percent. Meanwhile, 78 percent of all workers are currently using a backup conferencing or collaboration tool, instead of the company provisioned tool.